Without doubt, the biggest draw of Peugeot’s factory World Rallycross Championship (WRX) team is nine-time world rally champion and all-round motorsport deity, Sebastien Loeb. Although he’s in what (surely) must be the twilight of his career, the Frenchman is the star of the WRX show – but things could soon be about to change. 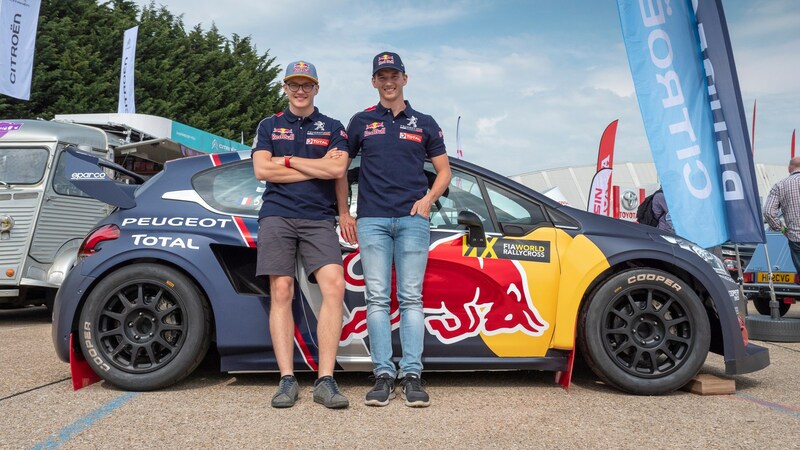 Meet Timmy and Kevin, two Swedish brothers (and sons of European rallycross legend Kenneth Hansen) currently plying their trade in the same WRX championship as Loeb. 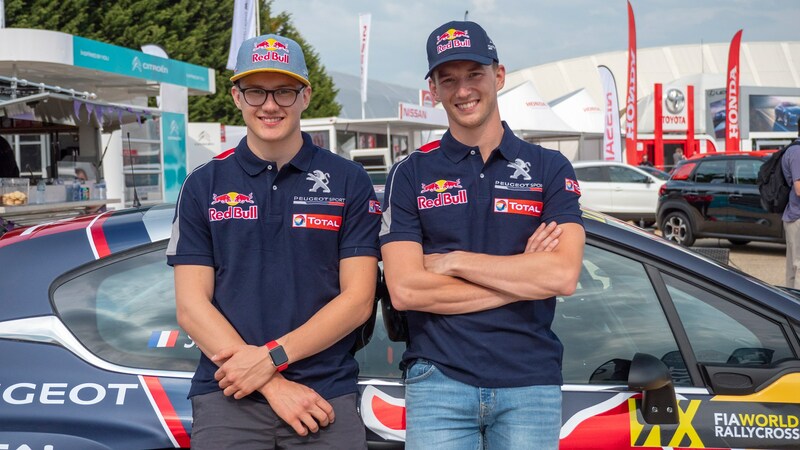 The former (and elder) is Sebastien’s teammate, while Kevin is the 20-year-old relative rookie in the third team Peugeot car – an individually entered 2017 model. Like the Toures of football or the Schumachers of F1, Timmy and Kevin are both tipped for stardom in what has got to be one of the most in-vogue racing series around, combining quickfire races with a one-off ‘joker’ lap designed to keep audiences engaged throughout. Liberty Media take not. Oh, and it’s due to go all-electric from 2020. As we go into the brothers’ home round in Gothenburg Sweden, Timmy is currently lying in 6th place in the overall standings, with his younger sibling not too far behind in the slightly older car. Loeb, meanwhile, sits in 2nd. 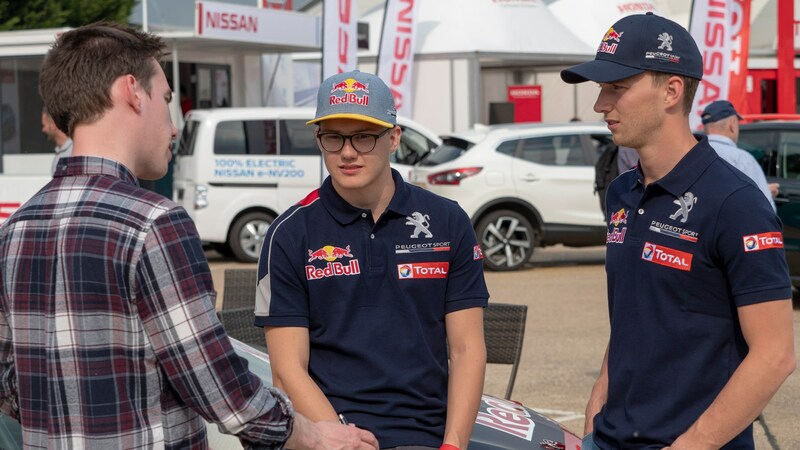 We recently caught up with the WRX duo and quizzed them on everything from sibling rivalry, to the future of world rallycross, and what’s it’s like sharing a team with Sebastien Loeb. No small mercy, considering that dad Kenneth won 14 FIA European Rallycross championships during his glittering career. Comparisons between father and sons would surely be inevitable, with many of which unlikely to be flattering. Did they want to go their own way in motorsport because of this? Not that the former is likely to ring true. 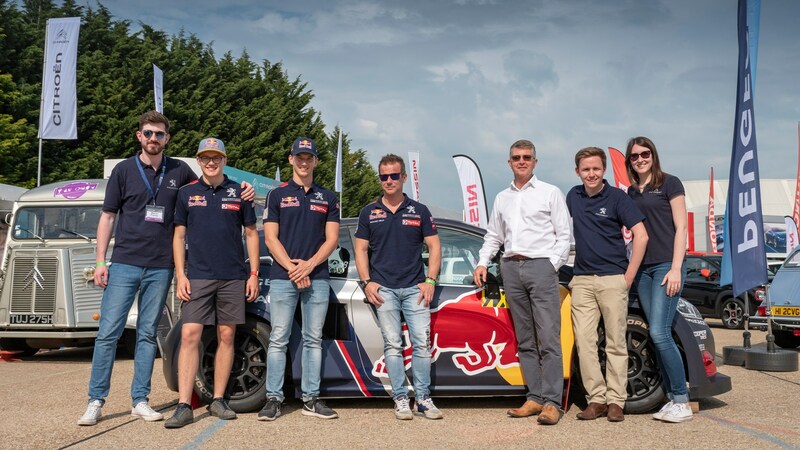 After winning two European Junior Rallycross Cup titles, he became a senior European Rallycross champ at just 18 and is now into his fourth WRX season. His first world title, it seems, cannot be far away. But what of the sibling rivalry? 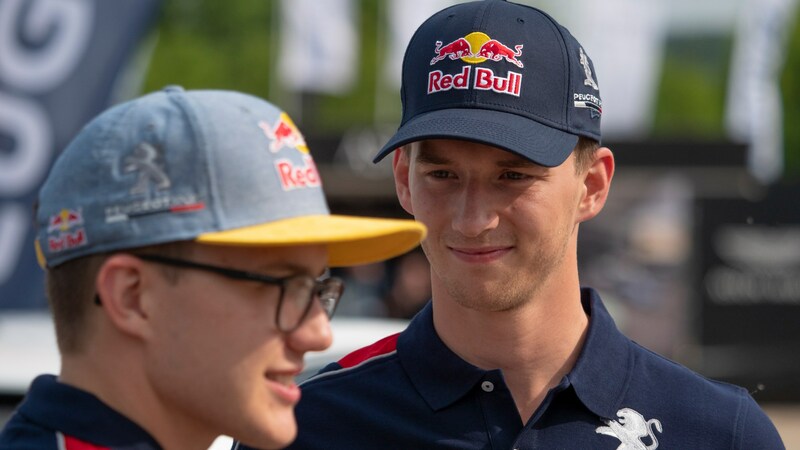 Timmy – at the age of 26 – is now an experienced WRX driver with aspirations to win the title, too, so does he ever think twice before giving his – already super-quick – younger brother tips? If the lack of any lurid tales of underhand and unbrotherly tricks are disappointing (although I am told that family board games are heated affairs, especially when mum Susann is involved), the on-track camaraderie is anything but. I ask Timmy how they would approach situations where they come up against each other on track, something that happens often on the compact circuits of the WRX calendar. It’s at this point that the man himself circles around where we are conducting the interview on a foldup Peugeot bicycle, looking as effortlessly cool as only a slightly ruffled (he’d just flown into Luton airport a couple of hours before) Frenchman in his mid-forties could. We wind up the interview with a quick word on the future of WRX. As alluded to earlier, the Supercar series will solely be made up of all-electric cars from 2020, with the motors expected to come from a single supplier. ‘It’s a big step and it’s a change of how the car is driven, what engine we put in it’ says Timmy. ‘It’s going to have more power and because of these short races we have in rallycross it makes no sense to stay in these old engines’. Will it change the racing? Younger brother Kevin reckons it will take away a few elements such as the gears and noise, but nothing so much to harm the spectator element of the sport. Kenneth Hansen has the final say, however, as Timmy explains.